ESD shoes dissipate the build up of static in the body, so you don’t have to worry about working in highly statically charged environments - the static flows right through you and out into the floor. These Timberland PRO Women's Black/Pink 92669 Powertrain ESD Al ... (see full details) (see specifications) #TMBTB092669001. ESD shoes dissipate the build up of static in the body, so you don’t have to worry about working in highly statically charged environments - the static flows right through you and out into the floor. These Timberland PRO Women's Black/Pink 92669 Powertrain ESD Alloy Toe Shoes do just that. The midsole of these Timberland PRO footwear is made from conductive polyurethane for a consistent static dissipative performance and that’s helped by the cement construction of these Powertrain shoes, also adding reduced break-in time and flexibility to your work day. But let’s not stop at safety, these women’s work shoes are a true all-rounder. Great styling means more than a cool black and pink finish; it means modern comfort fabrics and a more comfortable and enjoyable feel.The microfiber leather and textile uppers of this footwear give you plenty of comfort and durability, but it’s the mesh lining treated with antimicrobial technology that combines a great design with the ability to control odors and leave your foot feeling fresher for longer. Underfoot, you get a fiberglass shank embedded in the sole of these ESD shoes that keeps your foot in great shape, even if the ground beneath you doesn’t play ball. And these safety toe shoes come with a proprietary outsole, with built in Anti-Fatigue Technology to provide shock absorption and return that energy back into the foot, in the areas where you’ll need it most. And the PRO polyurethane outsole of these Timberland PRO Women's Black/Pink 92669 Powertrain ESD Alloy Toe Shoes is abrasion resistant and non-marking too. It’s great to think that what looks and feels great from the very first day you wear them, will continue to do so for a long, long time to come. I wear these for 8 hours a day, 5 days a week. It took over a year for these to start to wear out. Not to mention, there was no break in period. They were comfortable the very first day I put them on. I'll be ordering again. These shoes are very comfortable the most comfortable works shoes I have had in a long time. 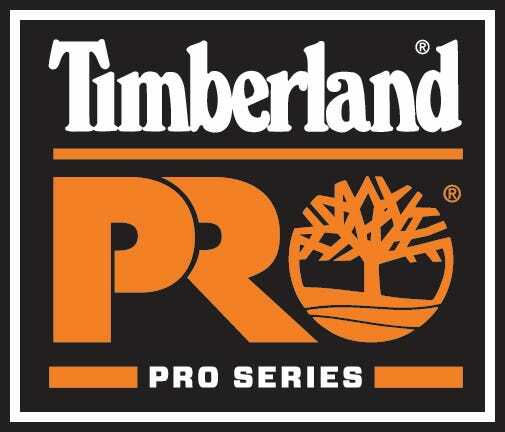 I will be buying Timberlands again..they are ESD approved, slip resistant and oil resistant.. Great show for the price. This is the second pair of this kind of shoe I have bought. That is why I ordered them and they are everything the description says they are. I am very pleased with the way they keep my feet from being tired after standing around 8 to 10 hrs a day. I highly recommend Timberland PRO shoes for anyone that is standing all day. I love the soles on these shoes. Nice and thick and cushiony. I bought a 9.5 wide and usually buy 1/2 bigger for the toe area, but I did not with these and they fit true. Love the black and pick color and look good with my jeans! I thought I would try these shoes because they were suggested to me. After a few weeks I am adjusting to the fit. Since I am on my feet 12 hours a day they have some what take the pressure off back and legs. This is a good product and last for a lot longer than other shoes I have wore I just hope they will make it comfortable for the type of work I do as far as standing on my feet to do my job. I would suggest these type of shoes to someone who is on their feet and walking helps ease the discomfort and helps with the issues at hand. with a few adjustments I would suggest they try these shoes and hope for the best because each person is different with their working in their field . Timberland PRO Shoes: Women's Black/Pink 92669 Powertrain ESD Alloy Toe Shoes is being added to your cart.